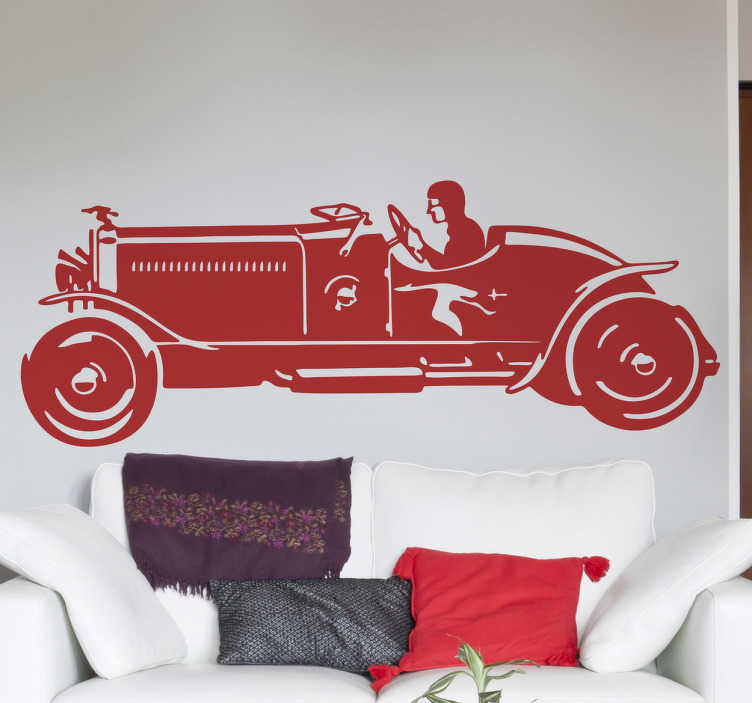 This wall sticker illustrates a design of a famous and successful racing car model from the early twentieth century. Are you a big fan of racing and look back at the classic racing cars? Then this wonderful vinyl decal for you to decorate your bedroom or living room! This monochrome sticker of this racing car is available in a wide range of colours!